Update - 2018.09.11With great sadnes we want to inform you, that Scott Braut passed away in August 2018. Read more. 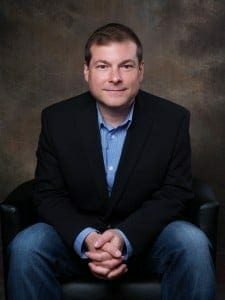 Adobe announced recently that they have hired Scott Braut, formerly VP of Content at Shutterstock, as Head of Content to drive the company’s overall content strategy and operations. I have met Scott Braut on our last Microstock Expo, where he have had a blast in the interview with Yuri Arcurs and Bruce Livingstone. 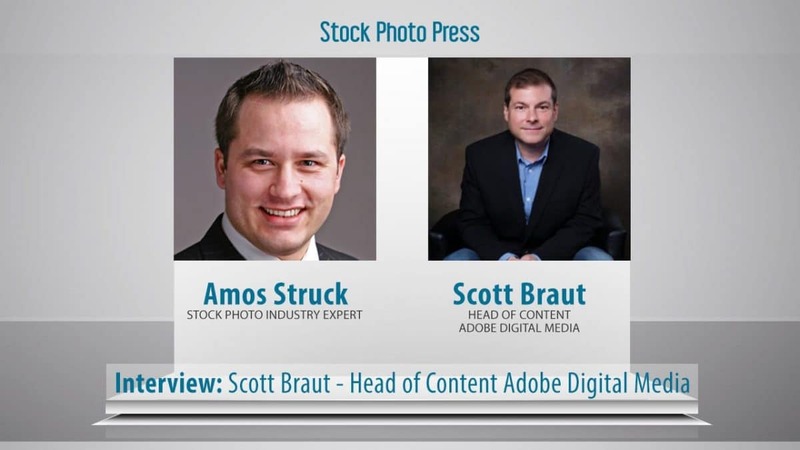 Scott's new role at Adobe includes the recently launched Adobe Stock, which offers a new integrated way to use stock photos within your Adobe software such as Photoshop. Click here to check out Adobe Stock. Amos: Hi, this is Amos Struck speaking from Mystockphoto.org and Stockphotosecrets.com. I am very pleased to be able to have a quick interview today with Scott Braut. Hi, Scott. Scott Braut: Hi, Amos. How are you? Amos: I'm good, thank you. Scott, you recently got in, into a new position, you're well known amongst many Microstock contributors already. It's very good to see you back in business, to be honest. We, we met at the Microstock expo. You have had some blasts, some great, speaks there. Can you describe quickly your new role because you are now, as far as I know, Head of Content at Adobe Digital Media? What do you do there now? Scott Braut: Yeah, thank, thanks. Obviously Adobe is, very well known for their content creation and content management tools. They're currently the only company that offers, an end-to-end platform for content creation, and distribution, and monetization, and also optimization. So, on one side you've got products like Adobe Photoshop, Illustrator, Premiere, also mobile apps, at one end of the workflow and then simultaneously you've also got Adobe Marketing Cloud at the other end of the workflow. A large number of Adobe customers are already stock customers and they're using stock as part of their content creation workflows. And so earlier this year Adobe acquired Fotolia to make it easier for customers to, like, use stock, as they're creating content, and then from that acquisition of Fotolia they launched Adobe Stock as a stand-alone site and also an integrated work.My role, as you said, is Head of Content. My responsibility is to grow the collection of photos, illustrations, videos and the other creative assets, for the Adobe platform. And then simultaneously doing that in support of the community of artists, the content contributors who create that content. Amos: Awesome. Sounds like a very broad role and a very great position as well, because having all this Fotolia content and Adobe Stock it's great, but everybody needs fresh stuff. So I think you're, you're doing a great job there getting new, these contributors on board or reactivating as well the, all these contributors there. Will we see you interact with the contributors directly again like you did before with the community? That, all of the people loved that, so will you do that again? Scott Braut: Yeah, absolutely. So, I've been involved in photography professionally for over 20 years so both as a photographer, as a photo editor. I was a commercial assistant at one point. I've been an Adobe customer since the first launch of Photoshop and I've also been for many years working in technology. Creating Ecommerce and software products for artists and photographers. I've never felt that my role is to just be an ambassador. It's also to be an advocate and a supporter as a member of the community. So, I think as people who have worked with me or who have interacted with me will probably tell you, I've already got a strong philosophy of being present with contributors, of being transparent and being respectful of their needs. And I think that's something that's probably true and I'm sure it's come through in the past. At the same time, Adobe has this 30 year history of, serving creatives and so there's already a strong culture and philosophy within Adobe of, being part of the community. So that was one of the things coming to the position that got me really excited about working with the company and got me really excited about working with Adobe specifically. Amos: Yeah, I bet. Yeah I think you were very transparent and you're very open and open-minded and direct to all these contributors. I really appreciate it. I even saw your post in the forums and all that, which all the contributors love, right? But there's some, some concerns in the, in the, in the whole industry, and especially from the contributor side, since Fotolia have had some kind of issues with their contributors because of Dollar Photo Club and I now they have kind of tried to fix it with this new 33% royalty to their photographers. I think it's the right way what they do at the moment. So what, what are your plans to win these contributors who might stop uploading to Fotolia and Adobe Stock? How would you like to win them back in the future and how would you like to get more on board? Do you have any plans already? I know you're new to the positions but maybe you have some thoughts on that. Scott Braut: Yeah, I think, I think basically what we're doing is through, through the Creative Cloud integration. So there's, there's the contributor side of things and there's the customer side. And so, on the customer side of things Adobe now has, the Adobe Stock product and that's integrated into the Creative Cloud workflow. 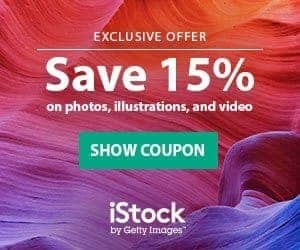 So you basically have, over 4 million, 4.6 million creative cloud subscribers who are now kind of the audience for, the Fotolia stock contributors. So Fotolia contributors will still be licensing their images, through Fotolia, but now they have the secondary opportunity to reach all of these Creative Cloud customers and to do so at, that 33% royalty rate. So I think, going forward it, it's going to be about exposing them to that larger audience. So you have all of the creative cloud subscribers but then you have the larger audience of Adobe users and Adobe customers that maybe aren't Creative Cloud subscribers. And then simultaneously making their workflow easier. So without getting to much into the tools, I think going forward we're really going to be looking at how do we make the process easier for the contributors, to contribute, increasing the scope of their opportunity and then simultaneously making it easier for them to submit. Amos: Interesting. Yeah, we'll come back to that special question later on. So let's just switch from contributors to the buyer side of Adobe Stock. Adobe Stock had a great start so far. 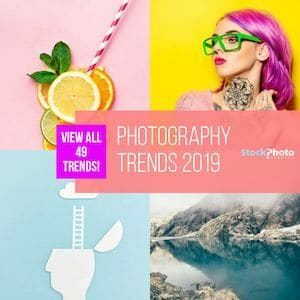 I've talken to several of the contributors who have already sold many images through Adobe Stock and overall it's a very positive feedback, what I can feel in the, in the whole stock photo industry and creative industry about Adobe Stock. Do you, it's hard to tell, but do you already see significant revenues coming in or do people really use the site a lot? What do you see from your side now? Scott Braut: Yeah, I think, so I'm obviously new to the company and it's, it's in it's early days so it's hard for me to, to comment on some of those specifics. But I think to the point earlier, Creative Cloud now has, 4.6 million subscribers, so, the integration of Adobe Stock within Creative Cloud makes purchasing stock very easy, so you certainly have an opportunity for the existing customers who are using Adobe Stock to, I'm sorry, the exiting customers who are using Adobe products to integrate Adobe Stock into their workflow. But then there's also an opportunity to reach new customers and potentially many millions of new and existing Adobe users who hadn't previously purchased stocks. So I think again, it's early days. This integration was, was just announced but I think you're going to see both things happen. I think you're going to see folks who are existing stock purchasers who migrate their workflows into Creative Cloud but then simultaneously you're going to see, like, an uptake of new customers as well. Amos: Okay. What do you think, the next question will be like, the numbers where will they come from? Will they more come from the existing Creative Cloud members or will they more come from first, and will they also come from the people who already use stock photos? Or will it more come from the first time stock photo buyers? Because a lot of people using Creative Clouds which haven't maybe not used that many stock photos yet, right? But with the new integration they might be able to just buy it for a very low price. And it might the entry point is much lower now for them because everything, credit card and everything is already in the system? What do you think what's the majority of them will be? Either existing stock photo buyers or first-time stock photo buyers? Scott Braut: Yeah, honestly, I really do believe that it's going to be both, because if you go through the Creative Cloud experince, so for example, you can go into Photoshop right now. Within Photoshop you can actually search for stock photography, you can then import those images into your libraries, you can work on them, and then you can license them right within the application. So if you've played around with that workflow, if you haven't I would suggest it. It's very easy to use, and it feels very integrated, and it feels very seamless. So I think you've got, again, these kind of two audiences. You've got folks who, currently use stock and what's going to happen with that group of folks who now find it, much easier to kind of work within the one environment. And then simultaneously there are folks that are using, Adobe products today and then they're now going to have access to all of these elements of creation, if you will and they can do it again within the same experience. So I think those people are going to be, the latter folks are going to be new buyers, and then, but you're also kind of like tapping into that existing community. Amos: Yeah, awesome. So, regarding Fotolia, because I'm from Germany, so Fotolia is, uh, the market leaders here as well as one of the market leaders in Europe. What does Adobe do with Fotolia? Do they keep it up running as a separate platform or what are the plans? How do they position them, each other, because they are actually 2 kind of platforms at the moment, right? Scott Braut: Yeah, I think right now they're, they're really complimentary offerings. So, obviously you've got Adobe Stock which is, the stand-alone sight that's integrated into Creative Cloud and then you've also got Fotolia, which is very strong in Europe, has millions of active customers and we expect, Fotolia to continue servicing, like the needs of that audience as an independent stand-alone sight. So, I think you're going to see these services run side by side. And really Adobe Stock is for that integrated Creative Cloud workflow but then simultaneously also, has a stand-alone site in and of itself. It is gonna service a different customer base. So for the foreseeable future you both sites are going to exist. Scott Braut: And serve their audiences. Amos: In talking about integration, Adobe owns the platform Behance, which is like a creative platform for creatives to show their work as well as yeah, you said 4.6 millions using actually Creative Cloud. A lot of them are actually creating creatives, like PSD files, graphic, whatever. Logos. Are there any plans to t term plans to create an upload process in the software or even connect something like the Behance platform to dip into that millions of creatives to upload new stuff into both marketplaces? Especially to Adobe Stock? Scott Braut: Yeah, no, no, no plans at this time. I'd, I'd be speculating. Amos: Okay. And another thing about creatives and there's like, for example Envato which already sells a lot of PSD files. Actually (laughs) I just bought one today because I needed a part of the graphic. So having all of these creatives working in Photoshops and Illustrator and InDesign and everything, do you think it will be an additional offer to sell those graphics, like PSD files, editable graphics footage of actions, Lightroom Presets, all that? Are there any plans to offer that within the platform as well in the near future? Scott Braut: Yeah, so, Adobe already has some of that content and that exists through the Creative Cloud panel, in the Creative Cloud software itself. So if you go to Creative Cloud, there's an assets tab and there are things like a small number of FPO, like for placement only type assets. Photoshop brushes, or brushes, rather, things of that nature. That content exists today and I expect that we're going to expand that content as well. Either through the marketplace or through the many different applications that, that make use of them. Amos: Awesome, yeah. I will definitely buy it. Like, today I bought the PSD file because I needed a graphic file. So (laughs) there was an interesting reaction. Getty Images, they has published a statement to their contributors how they see the one price fits all is not going to provide a sustainable income for contributors from their standpoint. What's your point of view on this when we talk about your royalties for the contributors? So, I think we're going to see a significant need for content. We're already seeing it. And then the idea is that stock and pre-existing content, serves that need and will be part of that growth. At the same time I think buyers need simplicity. So, buyers want a purchase experience and a workflow that's completely friction-less. Very accessible. So, if you're creating complicated pricing and licensing models and you're forcing the buyer through extra steps then you're really at odds with what buyers are looking for. So for Adobe, we're solving that problem through the integration with Creative Cloud and very easy to use kind of straightforward pricing and licensing model. Amos: I was kind of impressed, like I thought, because all of the, most of the other major players on the stock photo industry market already have their plugins for Adobe, Photoshop, especially. So actually like on most of the others you could actually search within Adobe Photoshop and you can actually, some of them you can even buy the image. So I was kind of impressed. I thought they, it would be the same kind of experience but I was impressed to see, okay, that if I click on it I get forwarded to that website, stock.adobe.com, where I then pick the right images and then I actually send them back with a click of a button into my cloud storage, so it will appear into my Photoshop. Will that integration be more seamless in the near future? Or is it, like is it always planned to have it on a website? Because it, sometimes it's very crammed to have in the software that's for sure. So how will this work in the future? Is there any plans on that especially? Scott Braut: Yeah, I mean I think there's certainly going to be a focus on seamlessness and simplicity. Again, I wouldn't want to try and predict or speculate on what products are going to come out in the future, especially because I'm more focused on the content piece of it. But certainly if the goal ultimately is to make things as, like easy as possible on the end user and to reduce the number of clicks, make it very seamless. And I think you're already seeing that today in the product. I was very excited just to play with it and to kind of see how simple and easy it is. Amos: Yeah, like from, if you're on the website it's very easy to just click a button. You get the watermarked image within the cloud with one second, it just appears in Photoshop, that's very neat, and also a replacement if you buy the image. I really like that part, I tried it once and I think it's a good way. Yeah, definitely. So, if you would tell something to all these contributors you want to reach because that's your job, actually, (laughs) you're Head of Content. Amos: So what's the message you want to tell them? Just shout it out, tell these contributors why they should trust you, why they should work with you in the future. Scott Braut: Yeah, I think Adobe has a, a long and established, history serving the creative community. So, Photoshop just had it's 25th anniversary. Adobe has been creating these tools in service of the creative community for 30 years. So it really does represent the largest audience of creative buyers that's, that's out there today. And so I think what you're seeing with Adobe stock and the integration is like a fundamental goal of making the lives easier for creatives. And that doesn't matter. Regardless of whether you're like a stock buyer or a stock seller. For buyers having this integrated purchase process that's simple and straightforward, it allows them to use stock as an element of creation, to incorporate it into their workflow to do so in a simple way to produce more content in an environment where there are increasing demands on content distributors to produce more, and more, and more. So now stock is fully incorporated into that process and I think for contributors, it's really about, simplifying their workflow but then simultaneously expanding the opportunity. So now they get access to, again these 4.6 million Creative Cloud customers, and what represents like the largest community of, of digital marketers. So I think going forward we're going to be building additional tools to make submission easier, but they'll simultaneously see the benefits of like an easier submission process and then simultaneously access to this very largecreative buying audience. My feeling is that it's early days but I'm really excited to, to see where things are going. Amos: Awesome. Will you also offer the upload of video into Adobe stocks somewhere in the near future? That's the question I hear a lot. Scott Braut: Yeah, I, again, I don't want to, sort of, speculate on future product releases, but, like, certainly the goal is to integrate into things like Adobe Premiere and to do that as much as possible. Amos: Awesome. Yeah, because a lot of these guys shooting videos now and they are happy to sell it so that's a good point (laughs). They're really looking forward to it. Amos: Last question. Thank you very much for the interview so, so far. I have 1 last questions for you. If you could change 1 thing about the stock industry what would it be? Scott Braut: Yeah, that's a big question. I think we're already trending in the right direction. So obviously over the years, there's been this push towards simplicity. It doesn't matter if it's the pricing or the licensing models or the submission tools, and I think that that trend is going to continue. So with these integrations, I think with kind of more robust content collections there are going to benefits as I mention to both buyers and sellers. I think, I think for buyers it's only going to get easier to basically access stock and to use it and incorporate it into your work. I think, I think for sellers, they're going to get just broader and bigger access to the folks who are actually, like, using stock in their work to produce new content. So I, I think both things are, are happening today and I'm excited to see both things happen at increasing levels of scale. Amos: Awesome. And we are really excited to work with you in the future. Thank you very much for the great interview, Scott. I'm looking forward to work with you in the future and probably will hear again if you have settled down in your new job in the next couple weeks or month and see how everything's changed. Scott Braut: Great. Thank you very much. Thanks for having me. Check out our Adobe Stock Review here.